The Southwest Wastewater Treatment Facility, with a capacity of 0.6 million gallons per day, was brought on line in 1993. This facility is located off Swatara Creek Road in Londonderry Township and is a fully-automated facility which is also capable of removing more than 95 percent of the biochemical oxygen demand and suspended solids and 80 percent of the phosphorous from the wastewater. 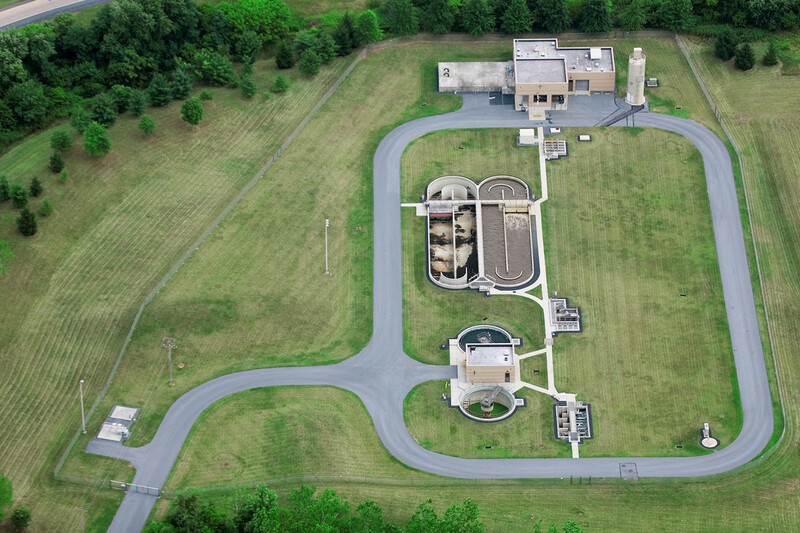 Major components at this facility include: Control Building; raw wastewater pumping; screening and aerated grit removal; extended aeration activated sludge (two closed loop oxidation ditches with brush aerators); ferrous chloride addition for phosphorous removal and polymer addition for improved settling characteristics; final clarification; disinfection using sodium hypochlorite; and aerated sludge holding with supernatant decanting. Thickened waste sludge is transported via tank truck to the Authority's Clearwater Road Facility for final processing.